Cleaning out the filing cabinet is always a revealing experience. I was sorting through some cards, letters, artwork and other stuff, when I discovered a couple of my earlier book manuscripts! That’s right, I’m an author. This particular book was never published and was probably only read by four people. So here’s my chance to self-publish for a wider audience! 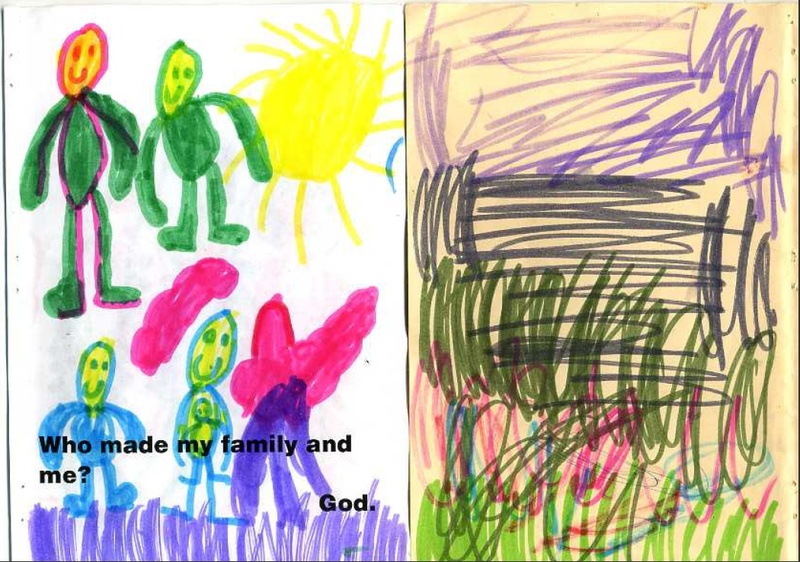 I was motivated to be teaching my kids (two young boys at the time) about God in a creative way. 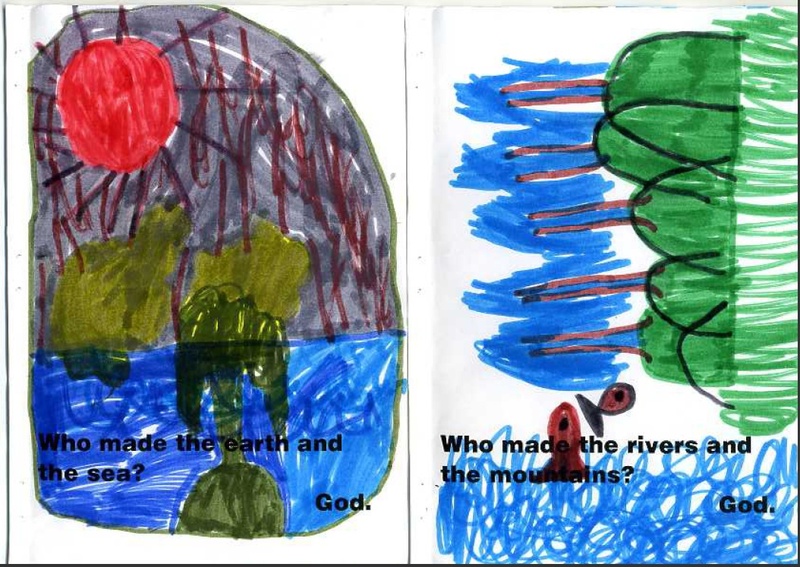 I’d been thinking about some of the question/response catechisms of yesteryear and this led to an idea for a DIY book for kids. 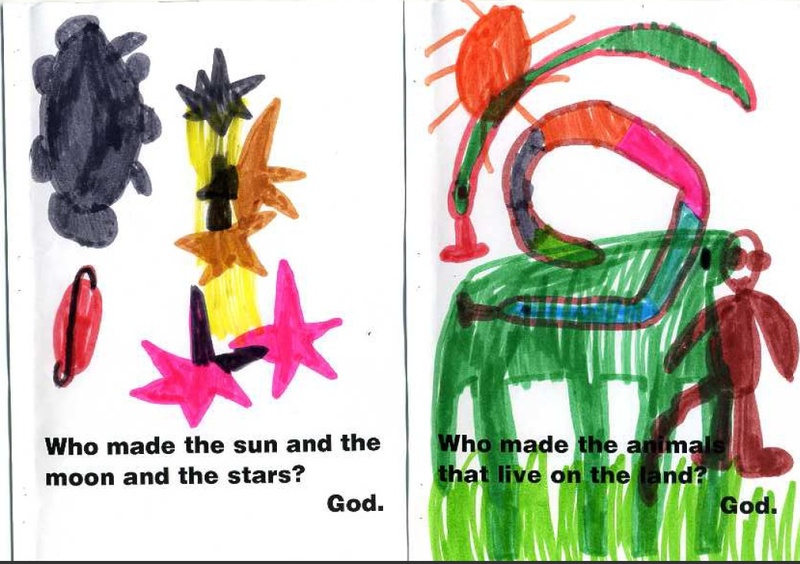 I would write the text and my kids would do the artwork. 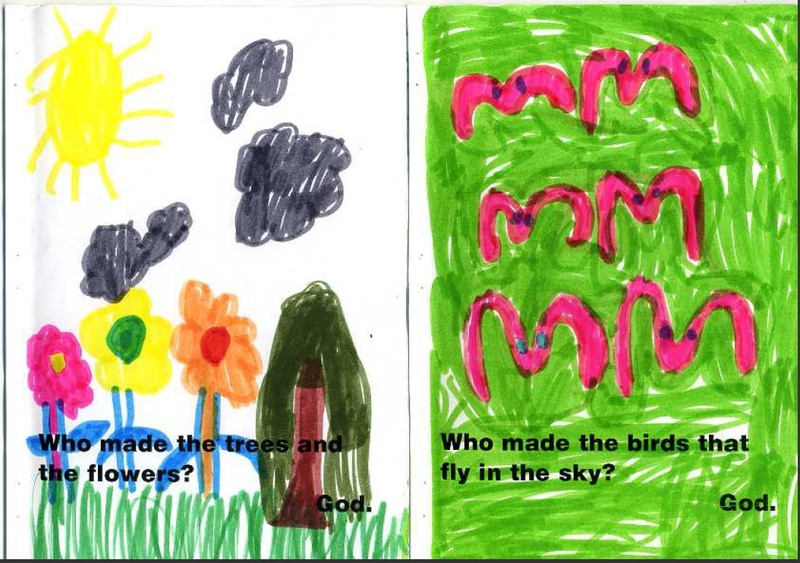 Having written the words, I printed them into an A5 booklet, and invited my kids to draw the pictures. Below is the Limited First Edition entitled, Who made everything? God. Written by Dave McDonald and illustrated by Matt McDonald. Given that there is a baby either growing inside one of the family members, or in her arms, it must have been written around 1996, when Matt was 4 or 5 years old! 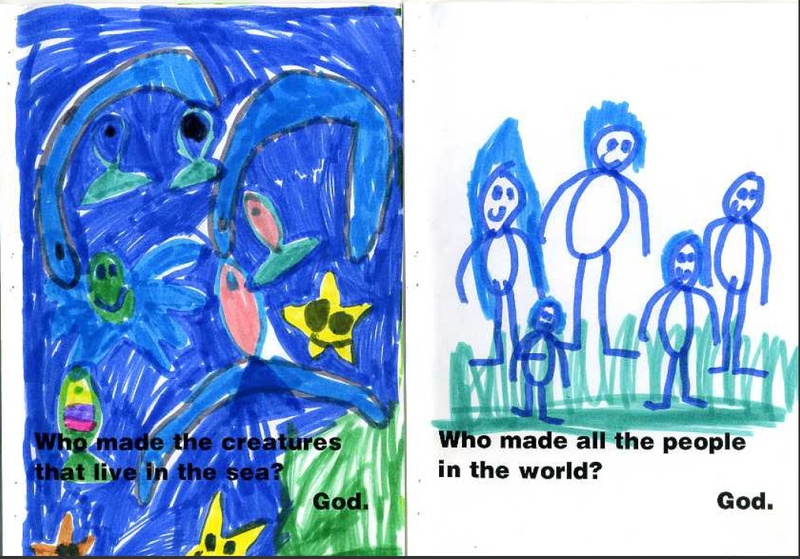 I produced another of these called Jesus is Special, where the text on every page began “Jesus is special because…“. We explored things Jesus said and did, his miracles, his death, his resurrection, and his exaltation – in simple words and sentences. 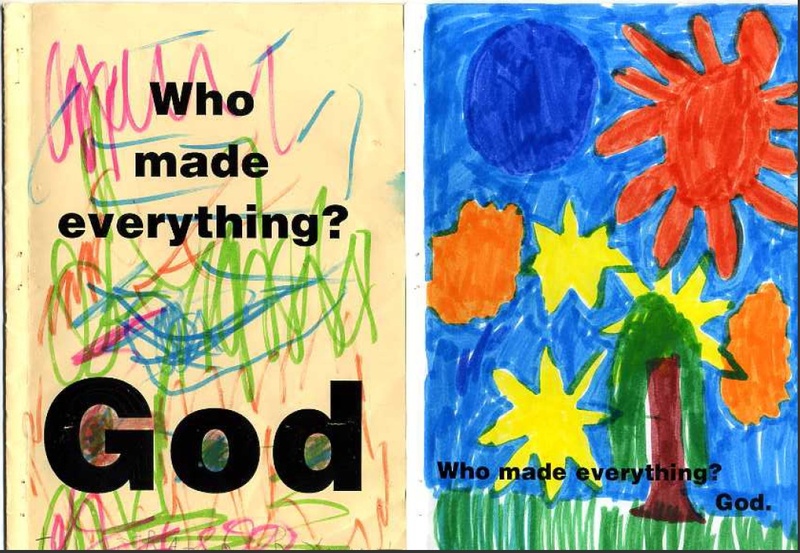 These books weren’t hard to do, we had fun together, and it was a creative way of getting our boys to learn about God. Why not give it a go, or share some of your own creative ideas. I found another of these and realised the one here was illustrated by Matt and the other by Luke!